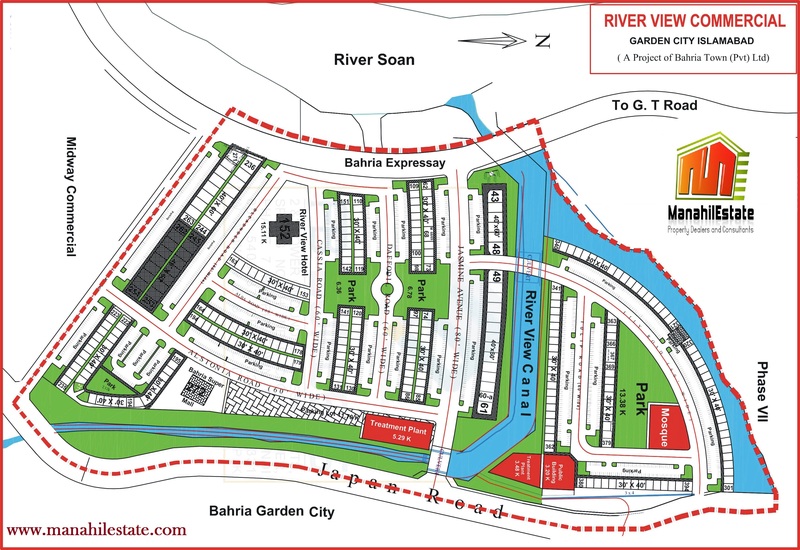 Find attached the maps of Bahria Town Phase 1 to 7 located in Rawalpindi. 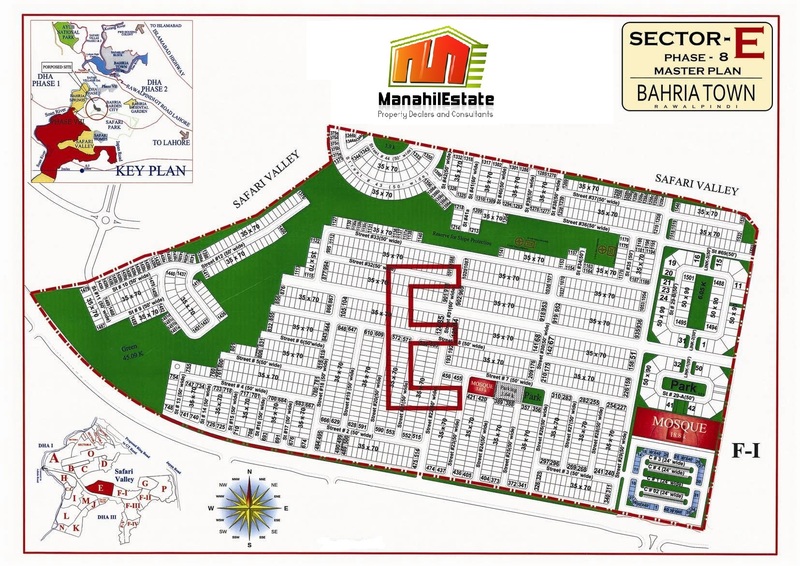 You can hover over the images to find out map titles and click on the images to get enlarged versions. 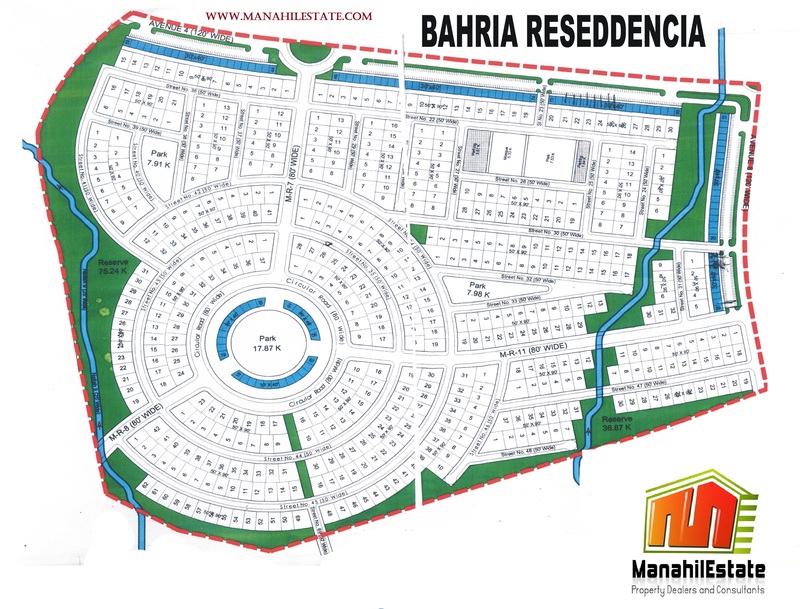 Following are the layout maps of all sectors of Bahria Town Phase 8 Rawalpindi. 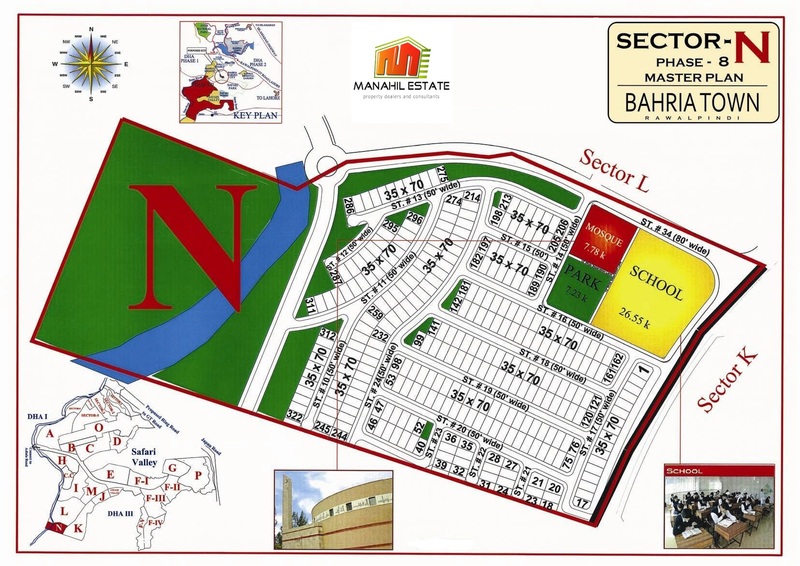 These include maps of Sector A up to Sector P as well as Club City (CC Block) Map. 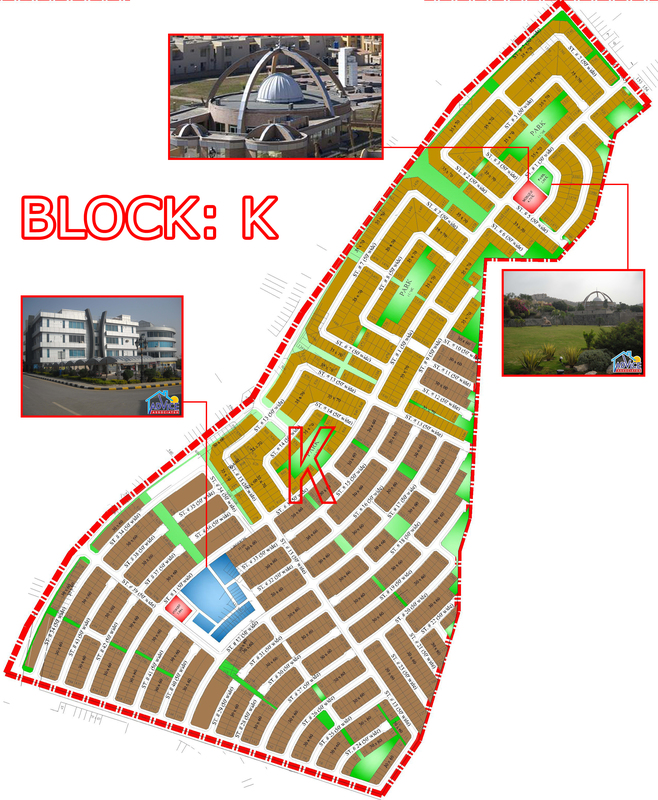 You can hover over the images to find out the map titles and click on the images to get enlarged versions. 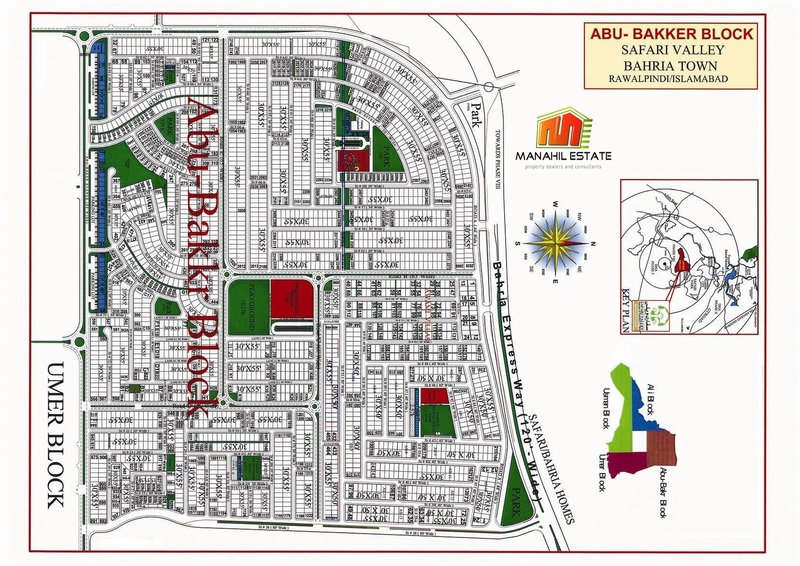 Following are the layout maps of all residential blocks of Safari Valley Bahria Town Rawalpindi. 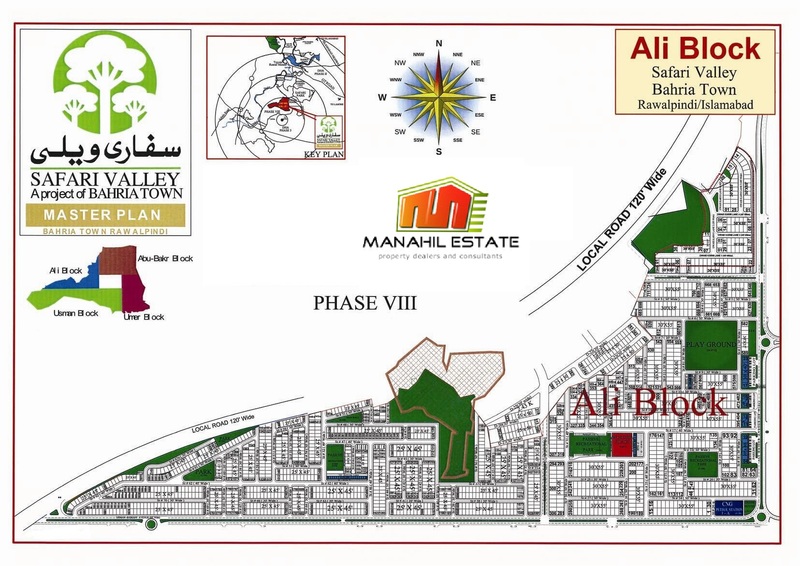 These include Ali Block, Abu Bakar Block, Usman Block, Rafi Block, Khalid Block, Awais Block and Lake View Block. 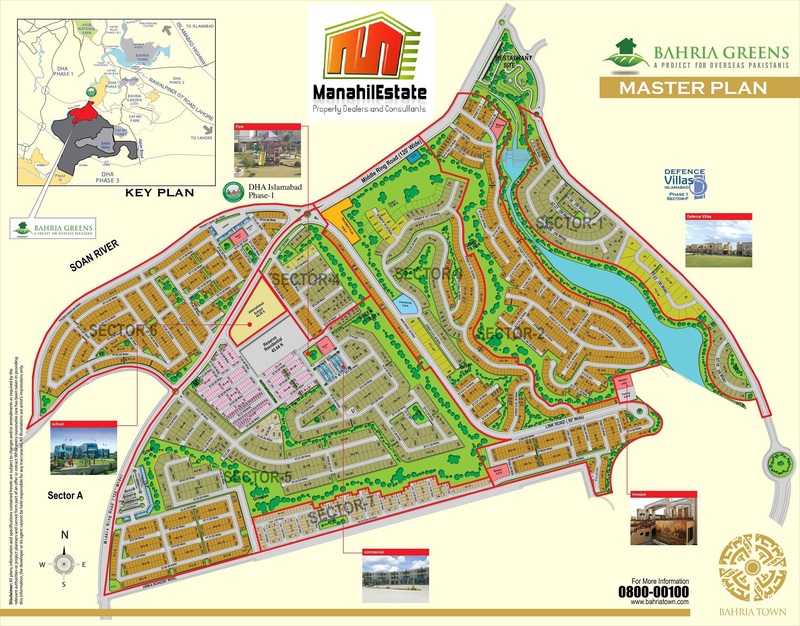 Hover over the images to find out map titles and click on the image to get enlarged version. 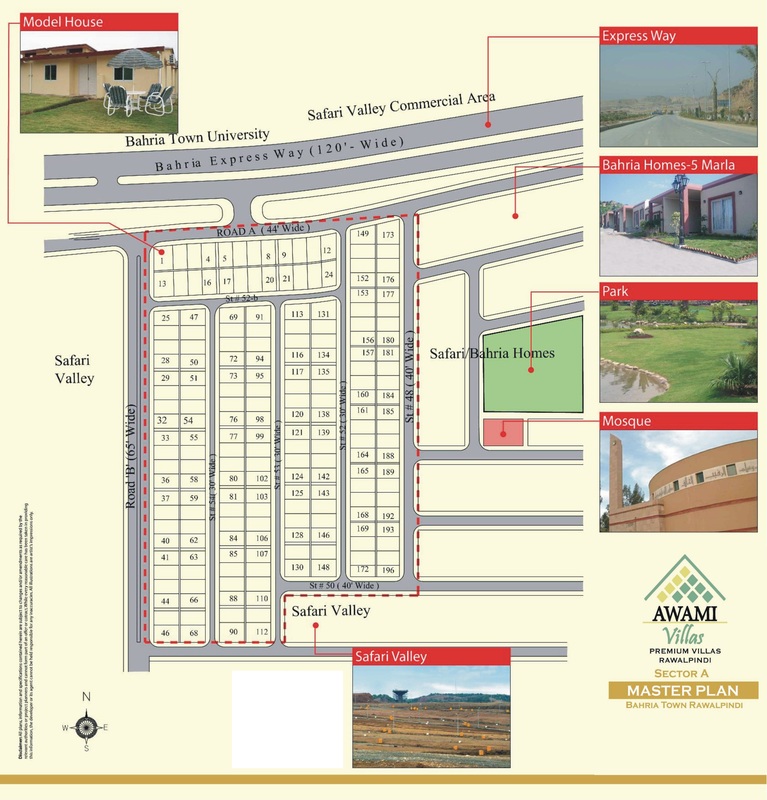 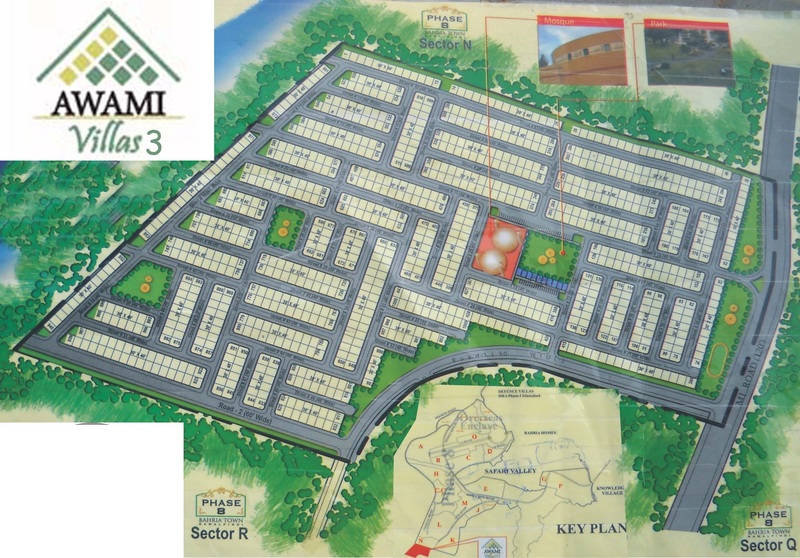 Following are the layout maps of Awami Villas Fiber Huts as well as Awami Apartments in Bahria Town Rawalpindi. 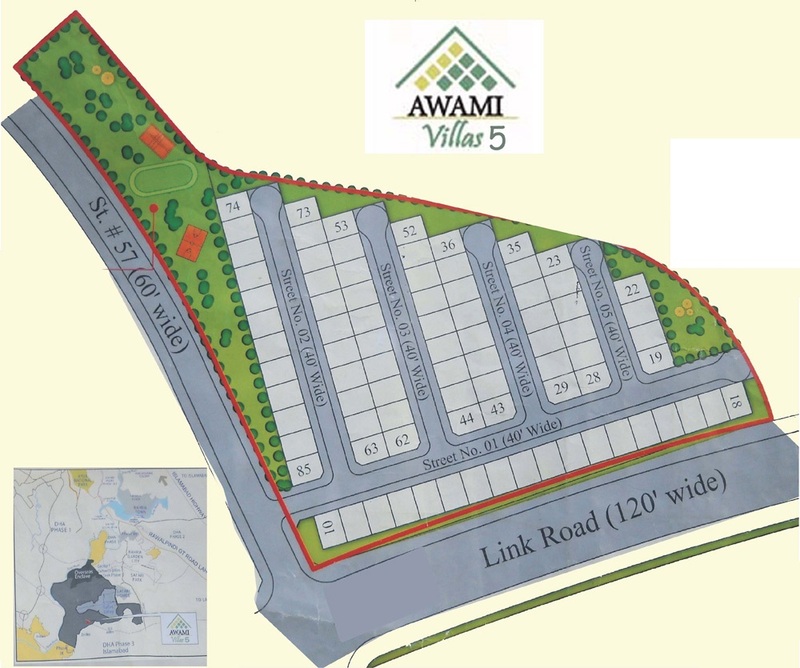 These include Awami Villas 1, Awami Villas 2, Awami Villas 3, Awami Villas 4, Awami Villas 5 and Awami Villas 6 which are located at various blocks of Bahria Town Rawalpindi. 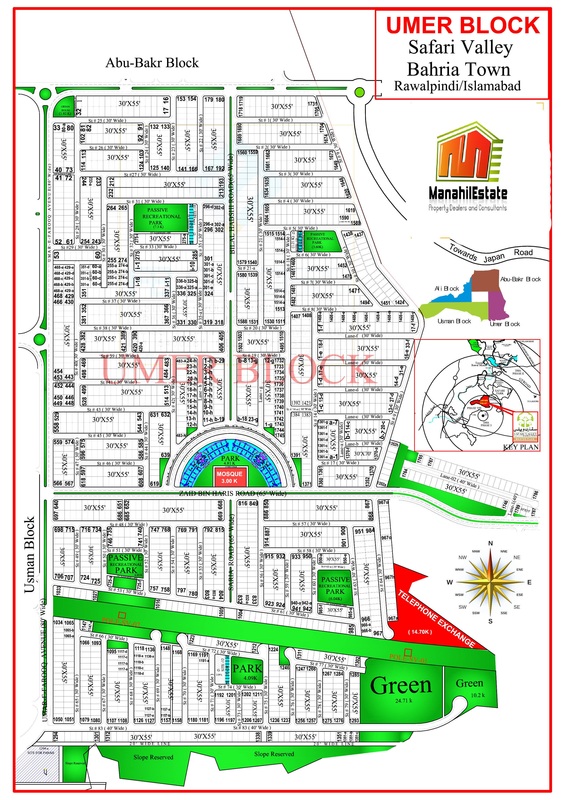 You can hover over the images to find out map titles and click on the images to get enlarged versions. 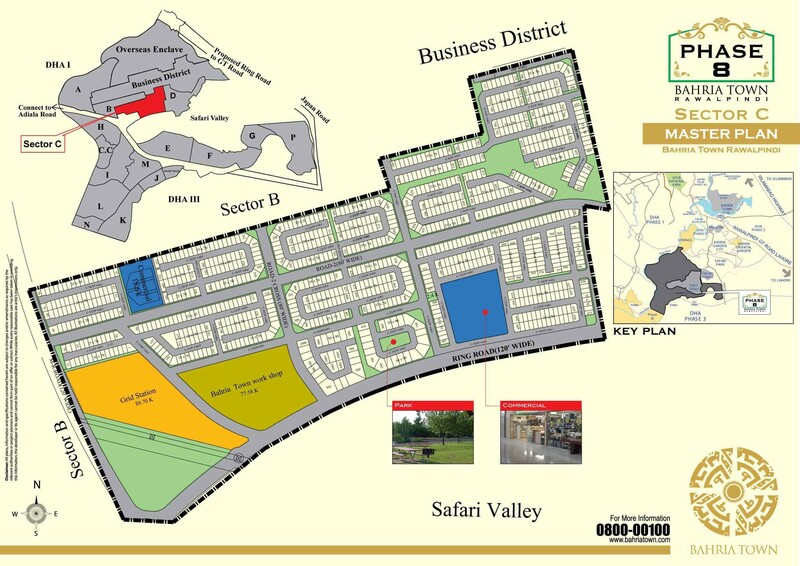 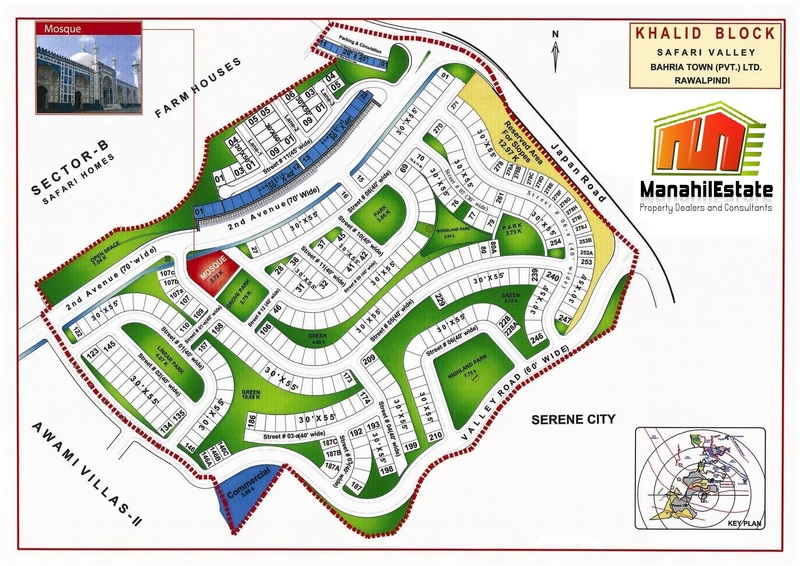 Following is the layout map of Safari Homes which are located in Safari Valley Bahria Town Rawalpindi. 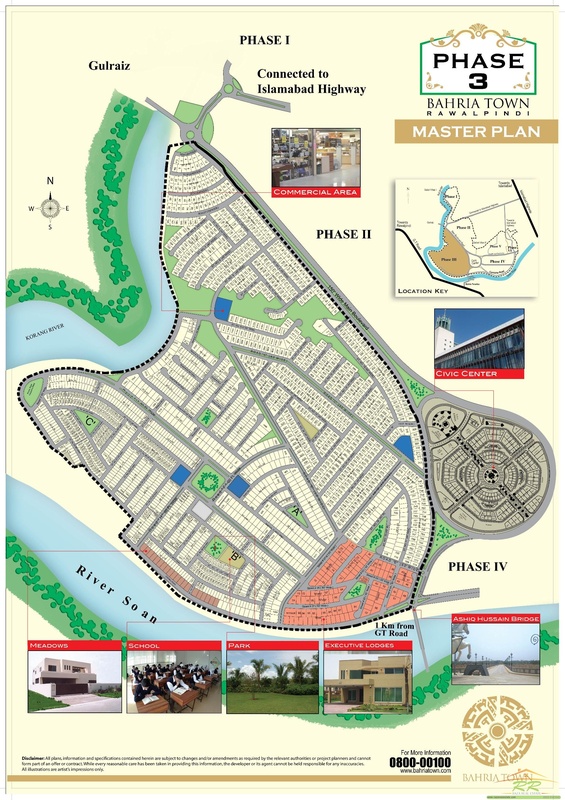 You can click on the image to get enlarged version. 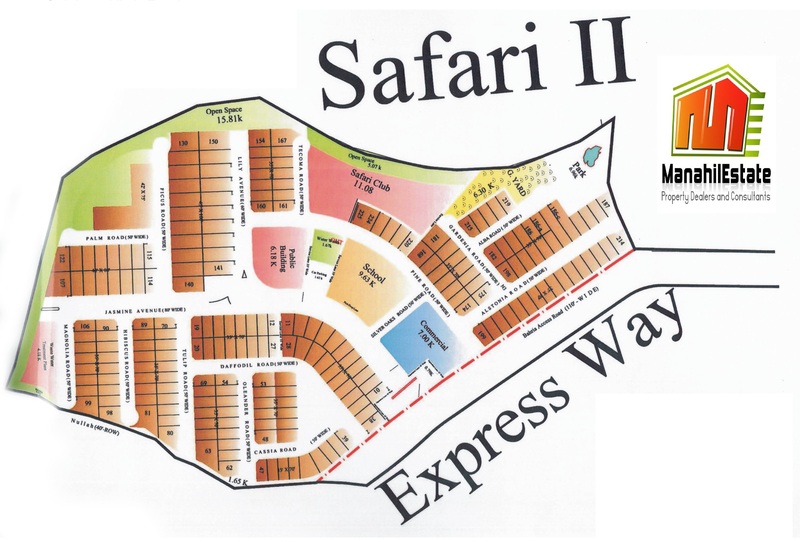 Following are the layout maps of Safari Villas located at multiple places in Bahria Town Rawalpindi. 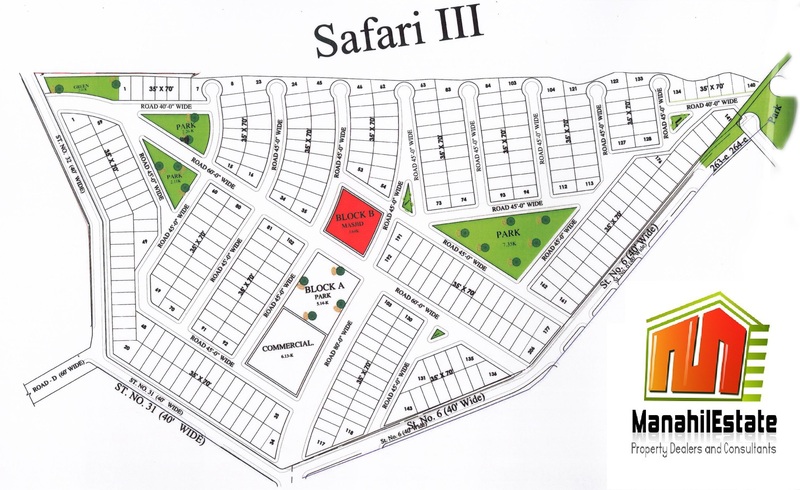 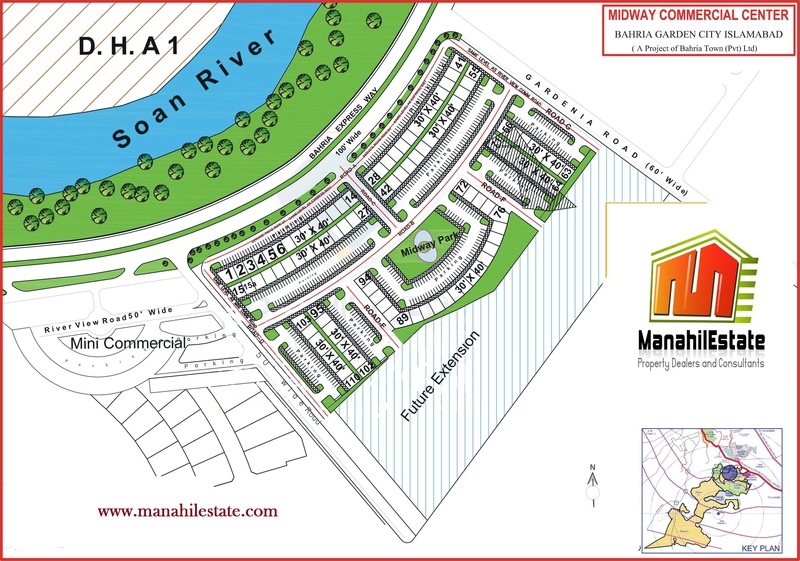 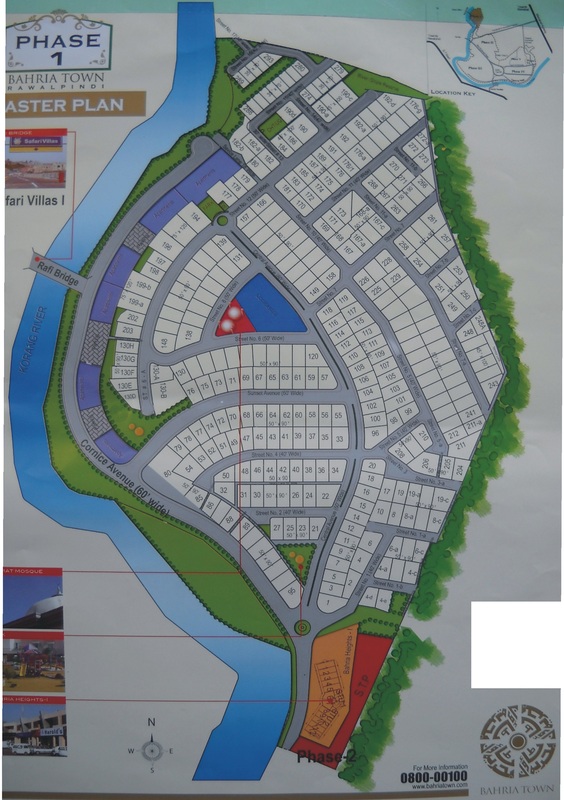 These include Safari Villas 1, Safari Villas 2 and Safari Villas 3. 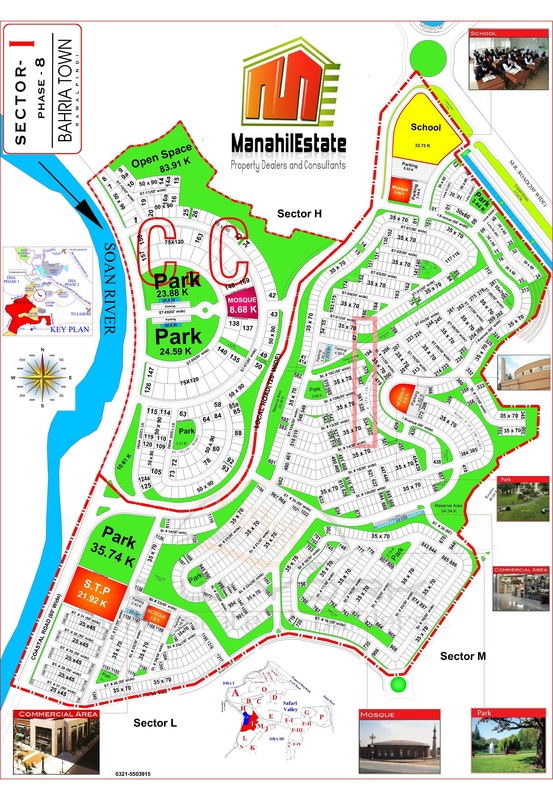 You can hover over the images to find out map titles and click on the images to enlarge. 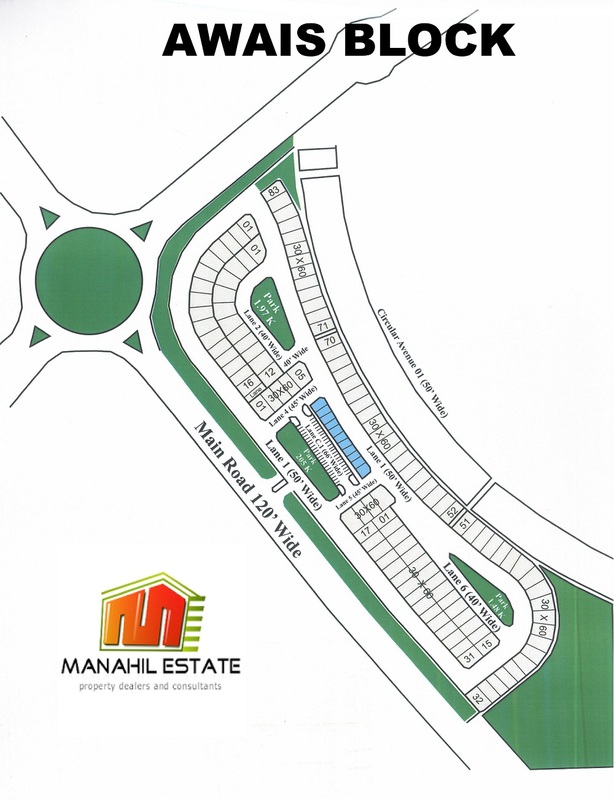 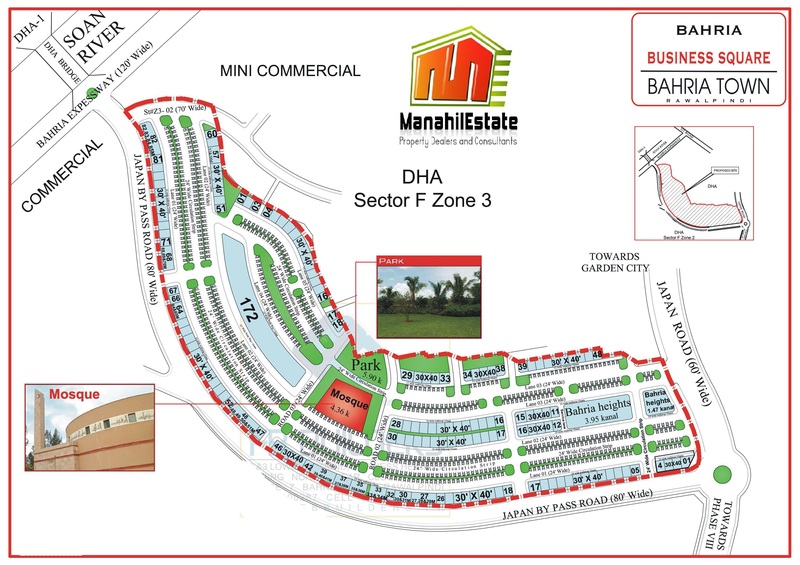 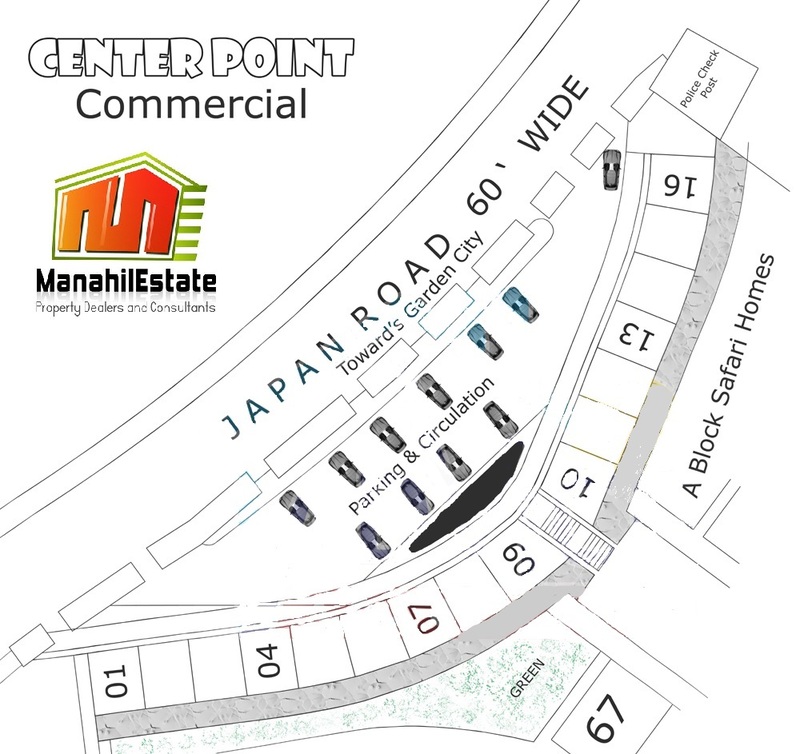 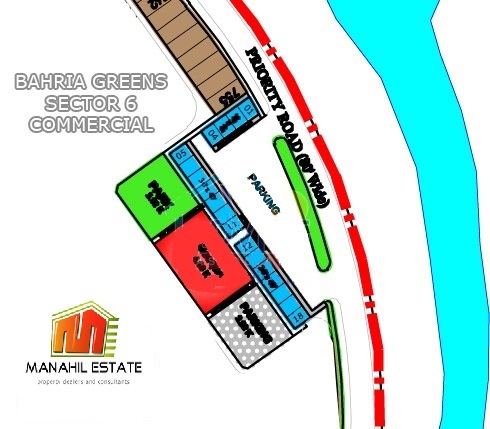 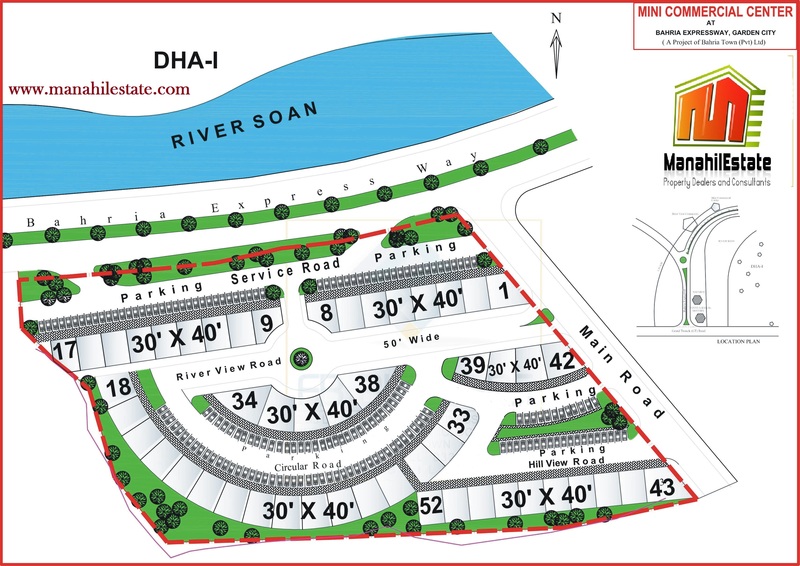 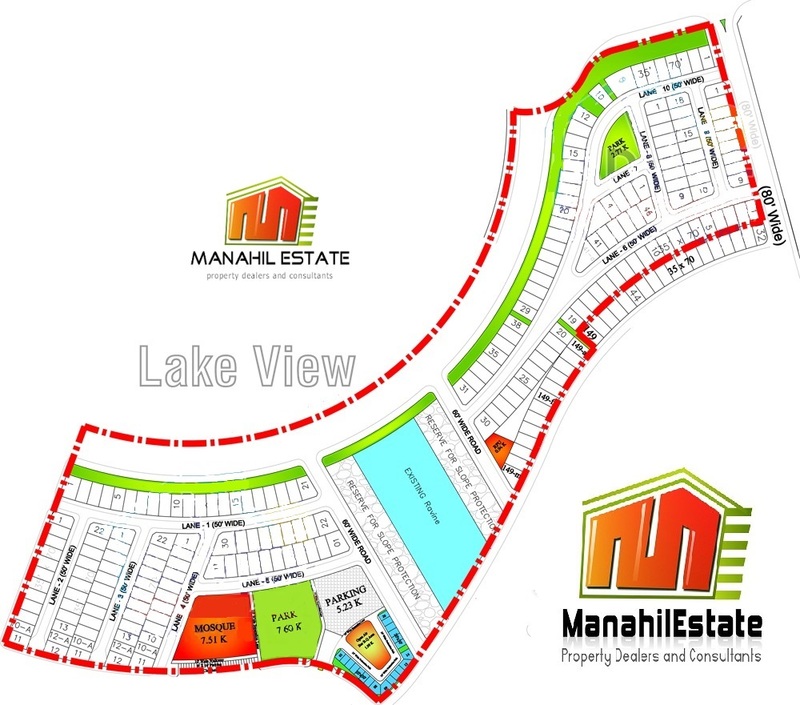 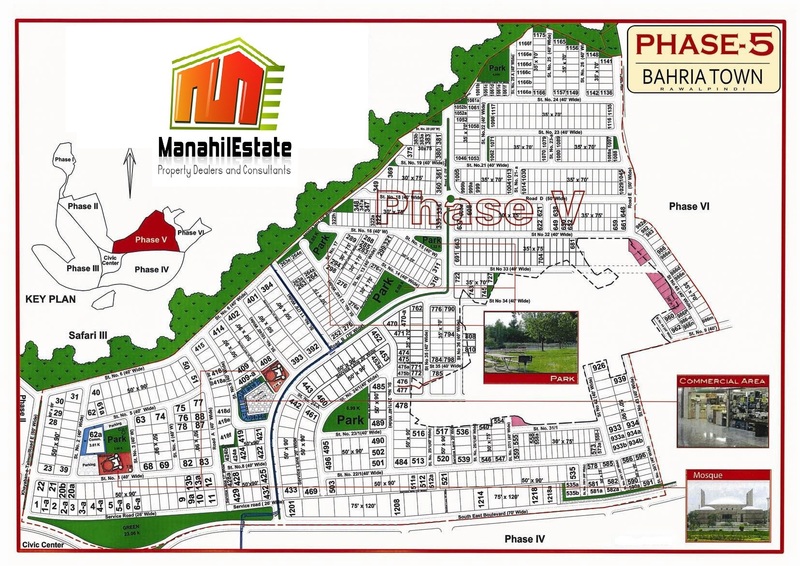 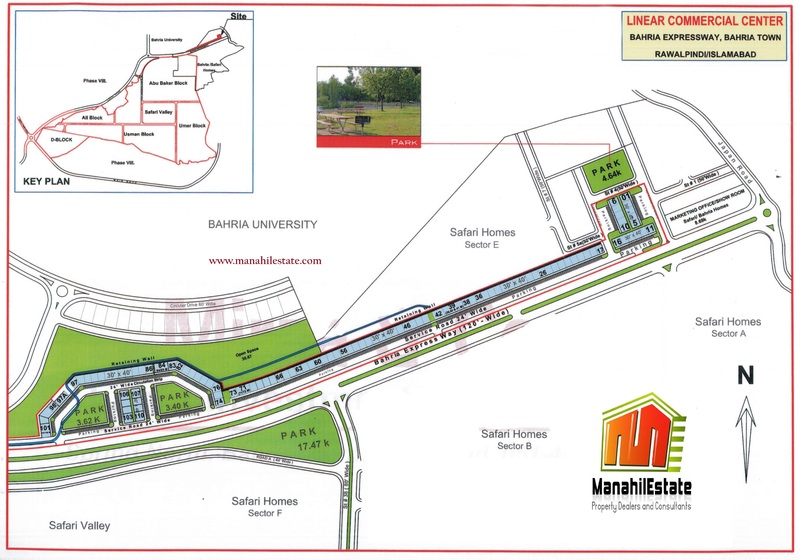 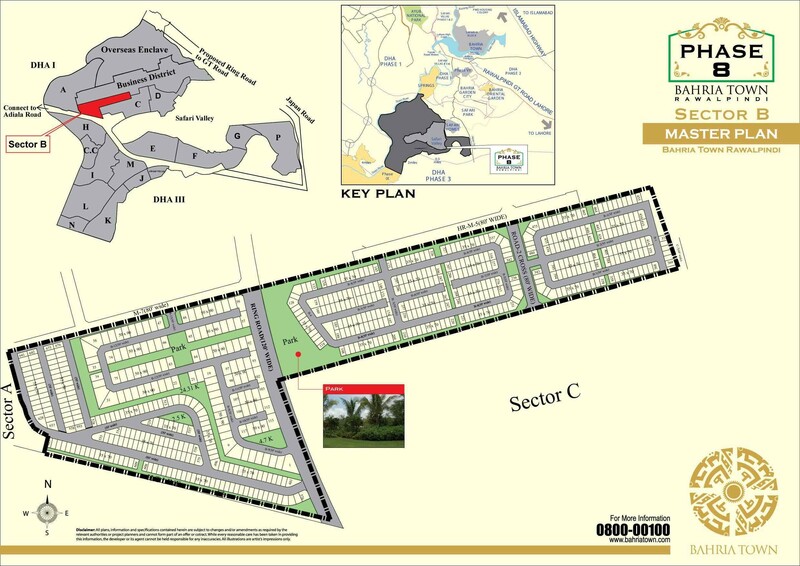 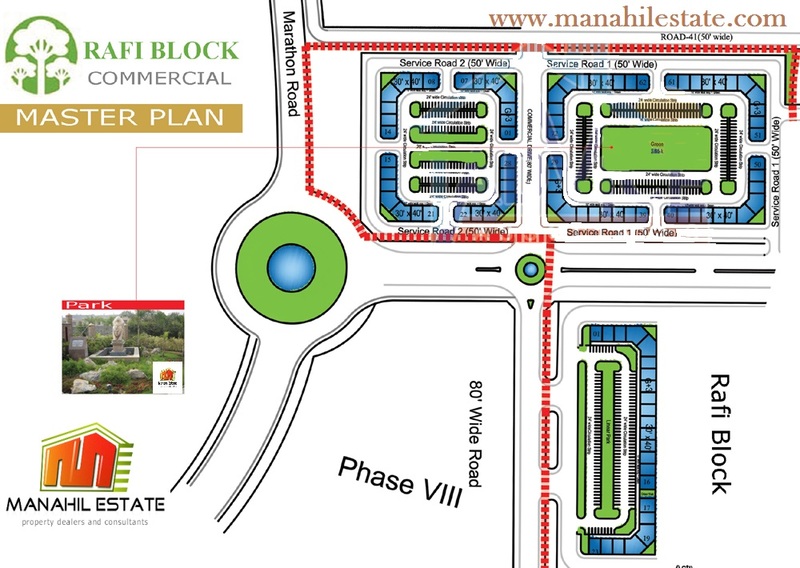 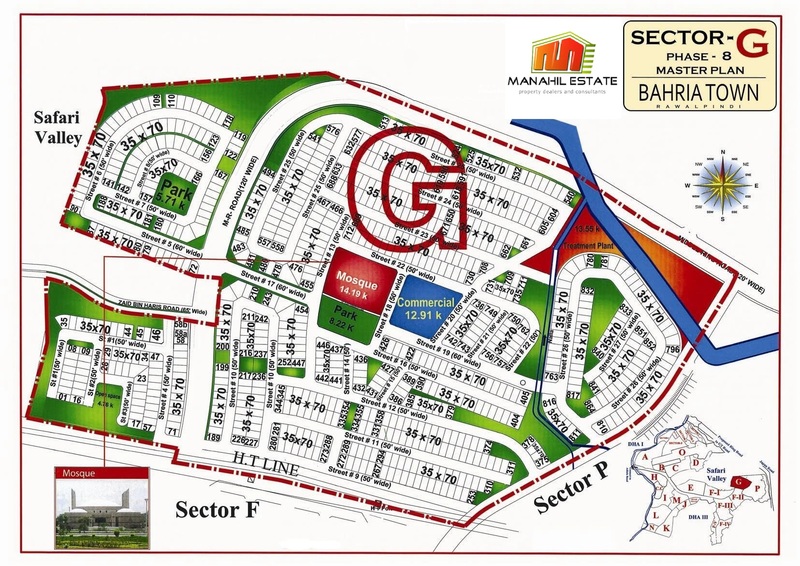 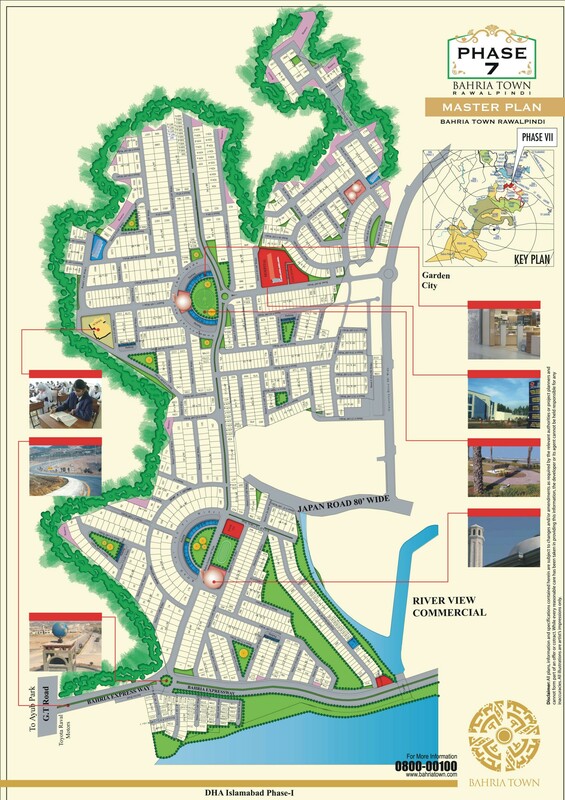 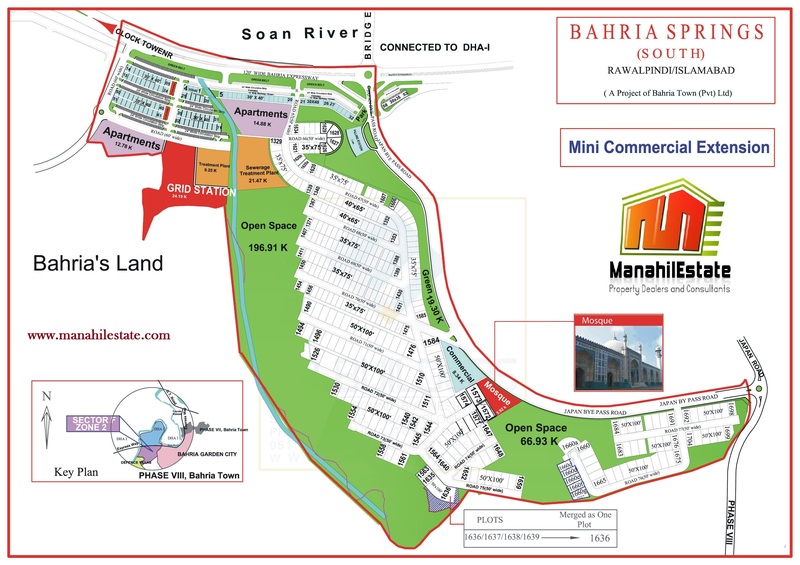 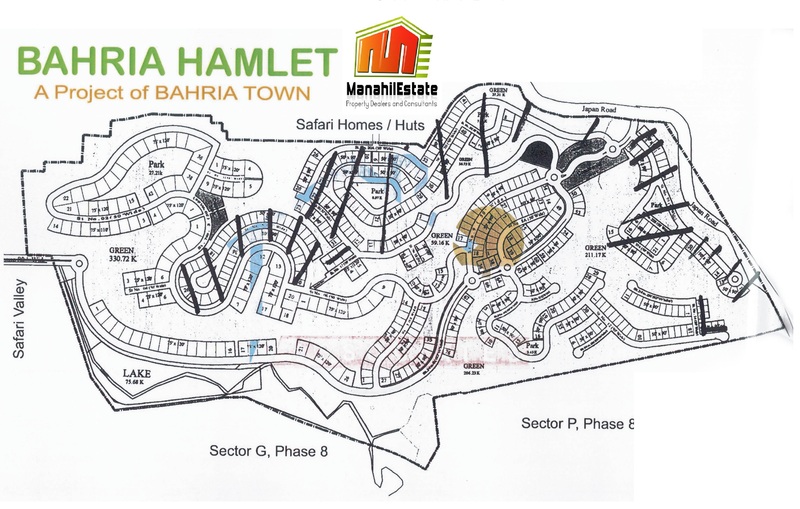 Following is the layout map of Bahria Hamlet which is located next to P block in Bahria Town Phase 8 Rawalpindi. 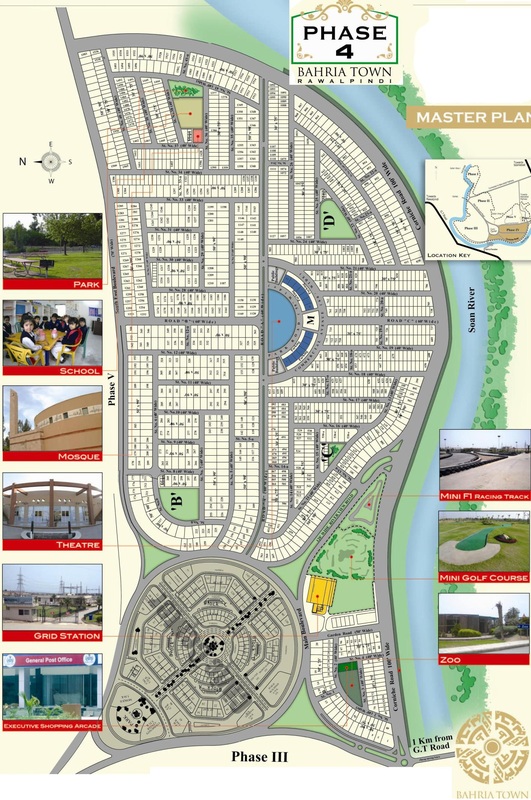 You can click on the image to get enlarged version. 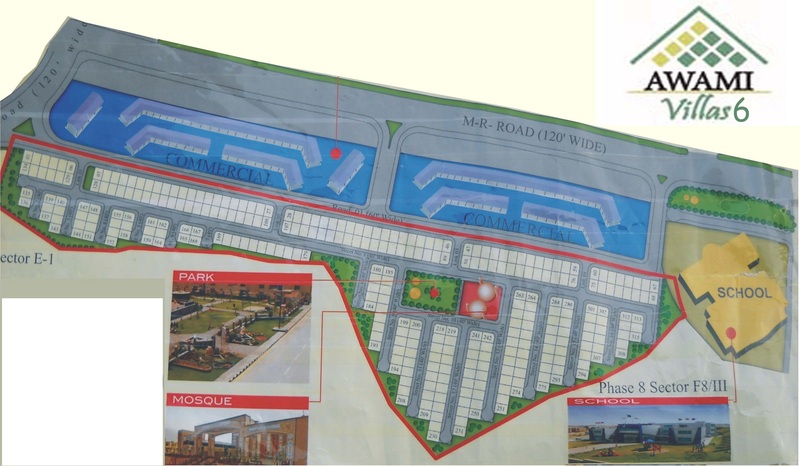 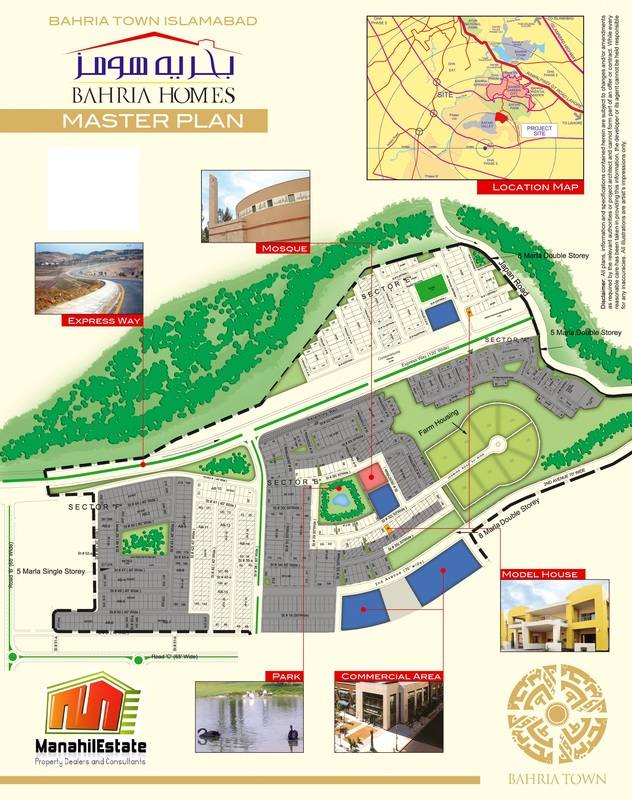 Following is the layout map of Model View Residencia which is located in Bahria Town Phase 8 Rawalpindi. 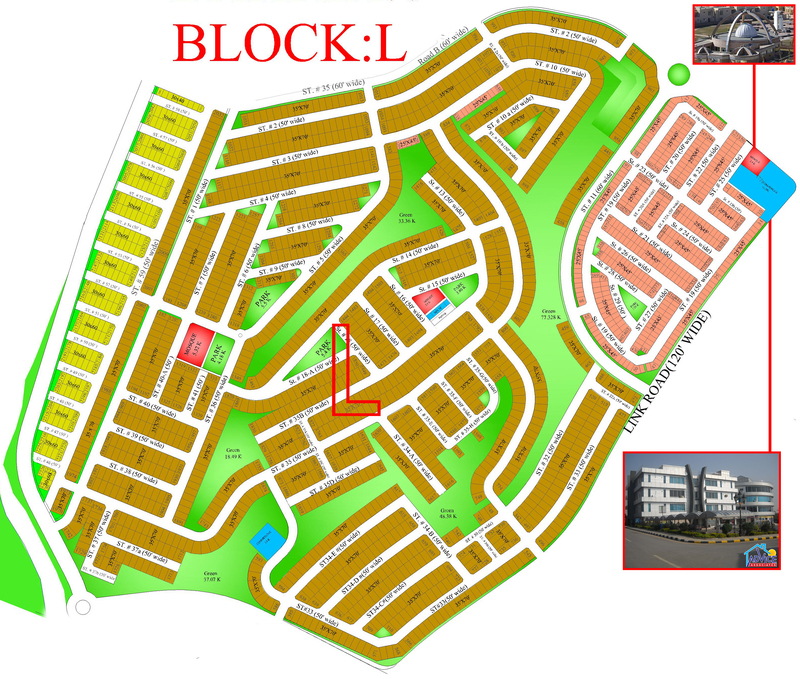 You can click on the image to get enlarged version. 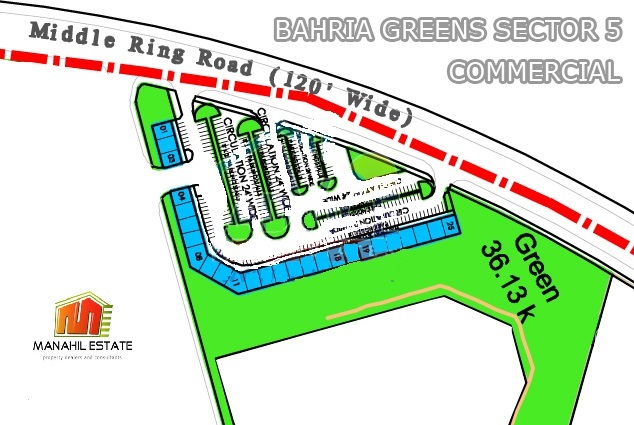 Following is the map of Overseas Enclave or Bahria Greens which is the first block of Bahria Town Phase 8 Rawalpindi. 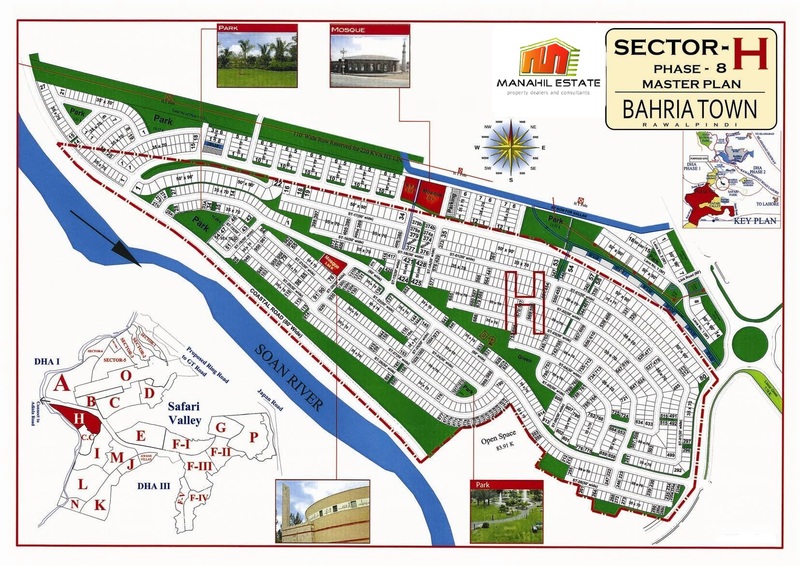 You can click on the image to get enlarged version. 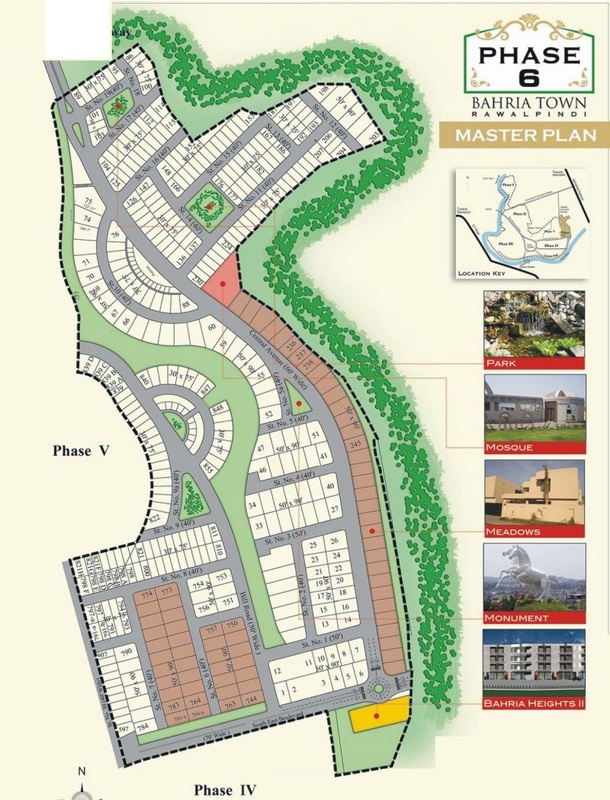 Following is the full layout map of Bahria Town Intellectual Village of Bahria Town Phase 7 Rawalpindi. 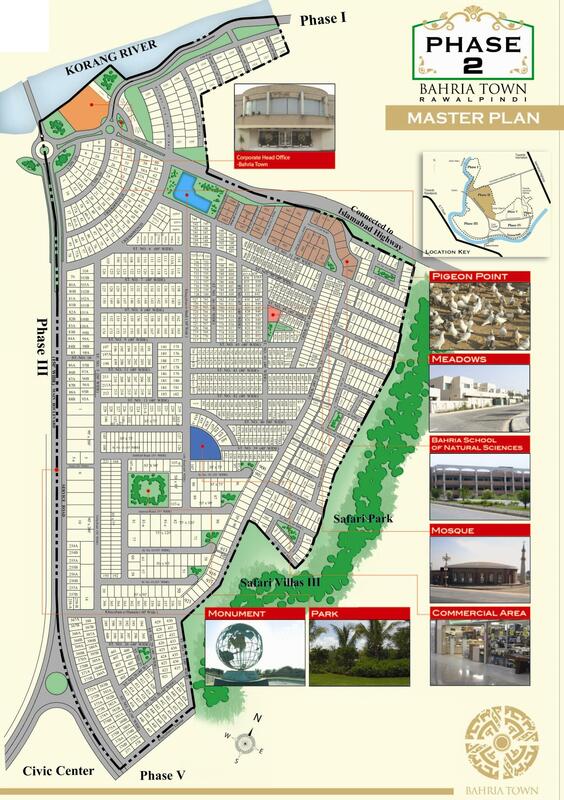 Intellectual Village starts from Time Square and Green Valley Hyper Market is also located here. 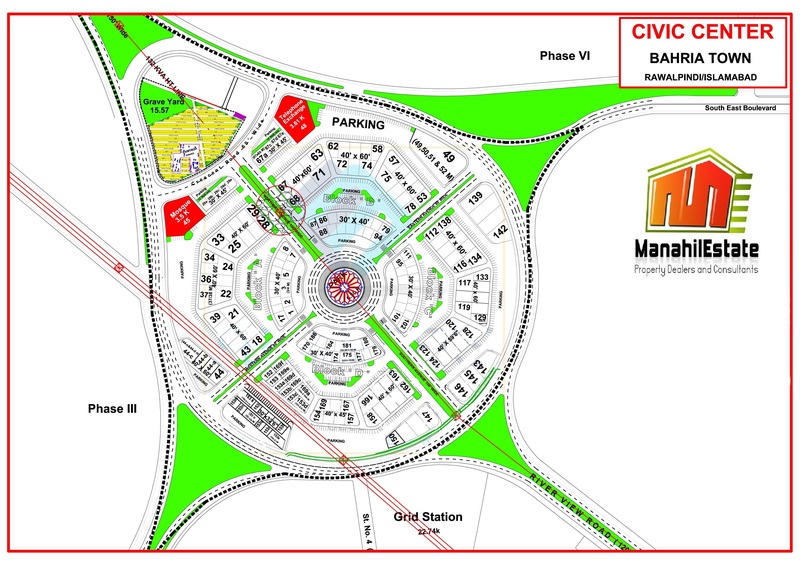 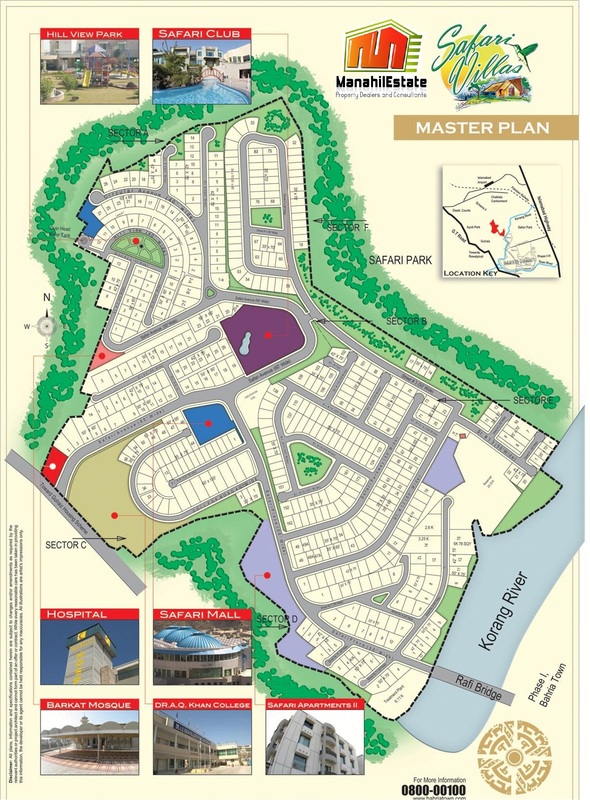 Intellectual Village is the residential area situated right at the back of Spring North Commercial. 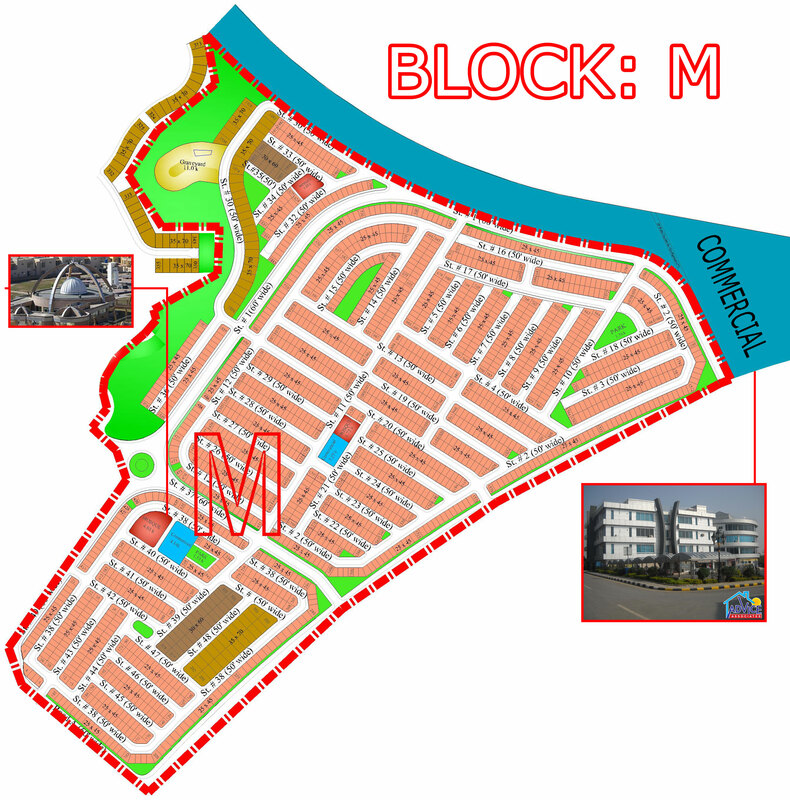 Click on the image to get enlarged version. 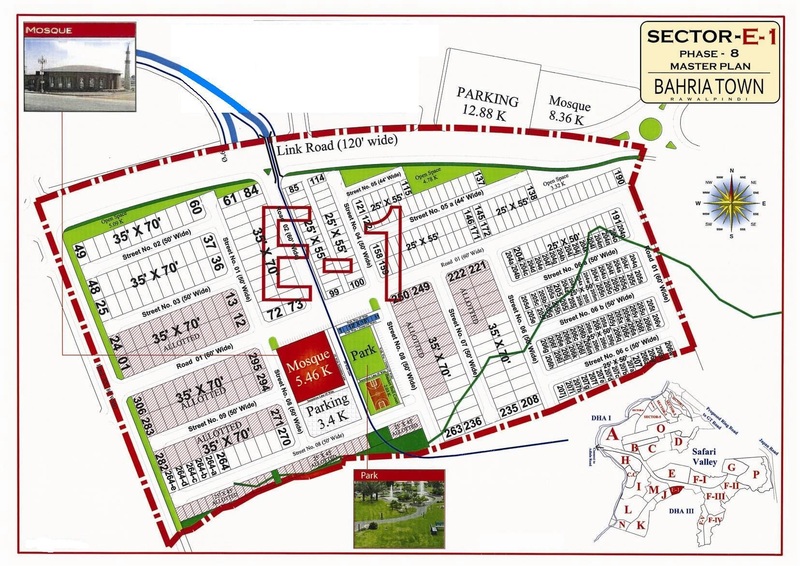 Following is the full layout map of Bahria Town Phase 8 Extension which includes all precincts of Phase 8 Extension. 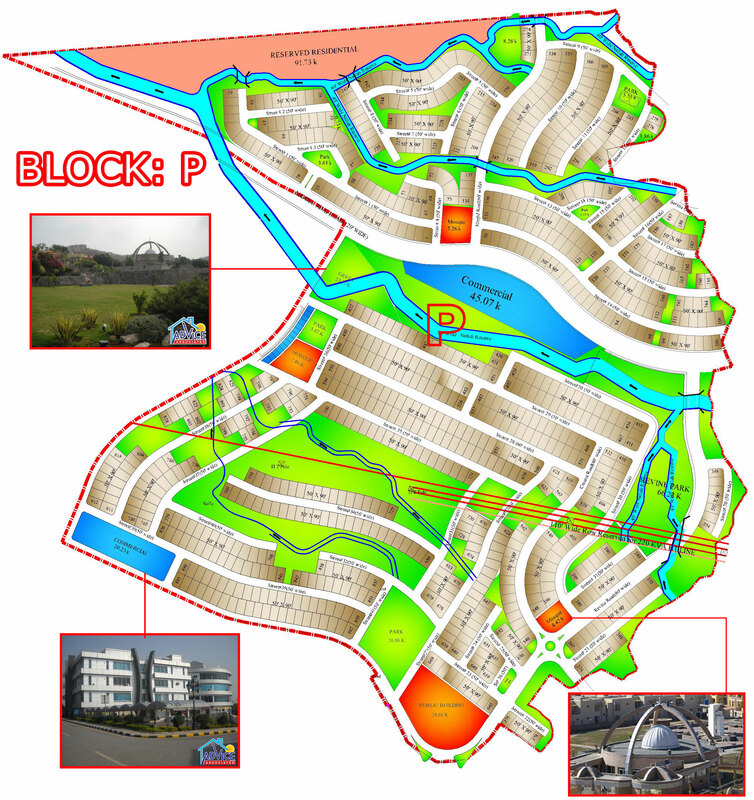 You can click on the image to get enlarged version. 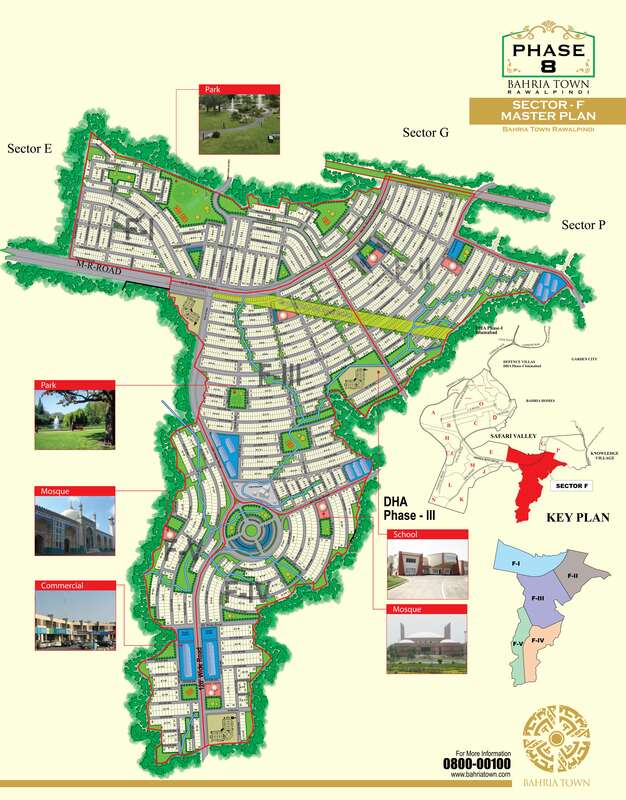 Following is the map of Bahria Enclave Islamabad which is located on Kurri Road Islamabad. 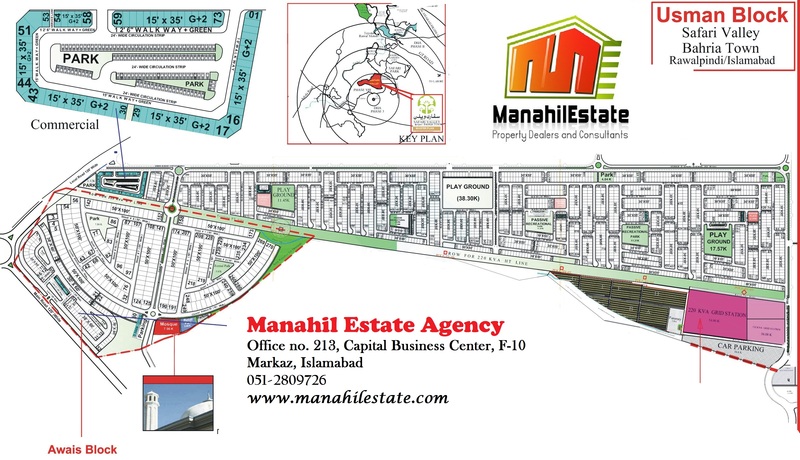 Development work is going on at full swing in various blocks and this is an ideal place for residence in the beautiful locality of Islamabad. 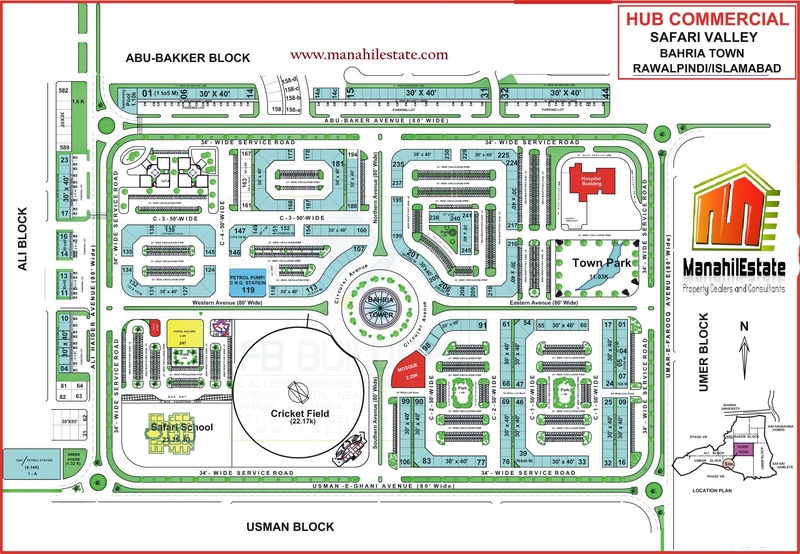 You can click on the map to enlarge the image. 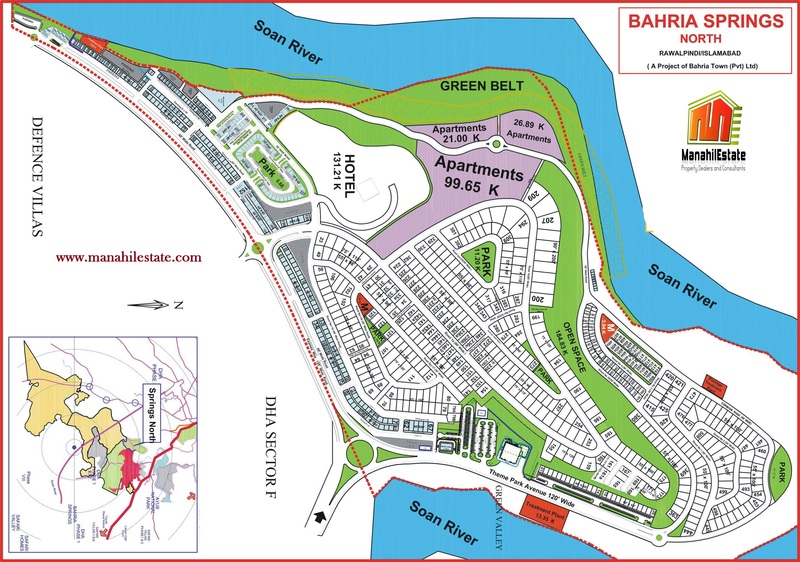 Following are the commercial maps of Bahria Town Rawalpindi. 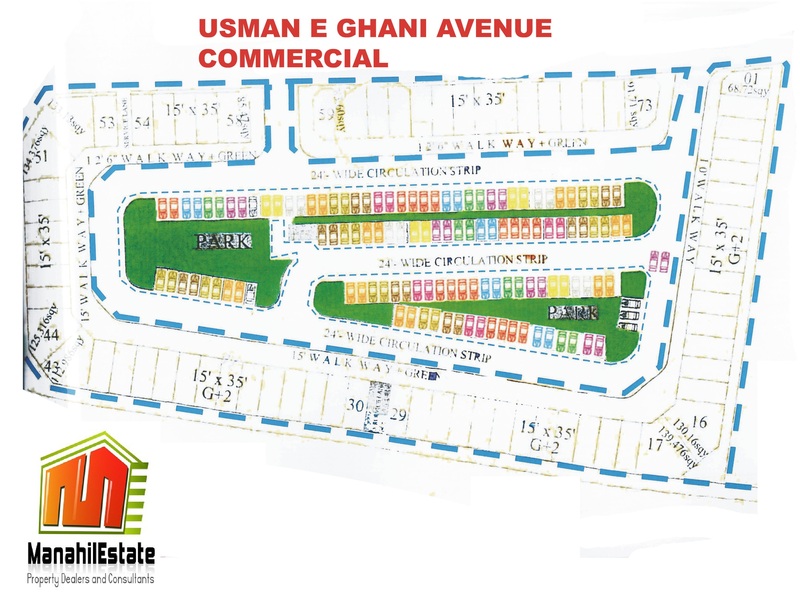 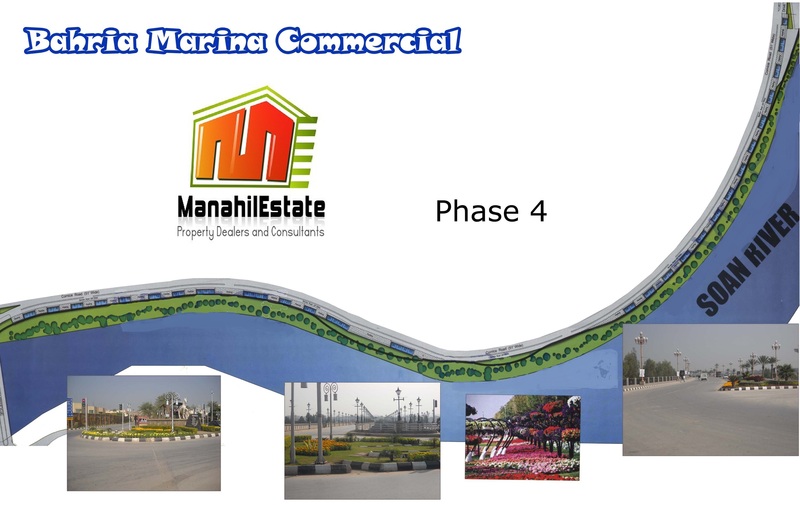 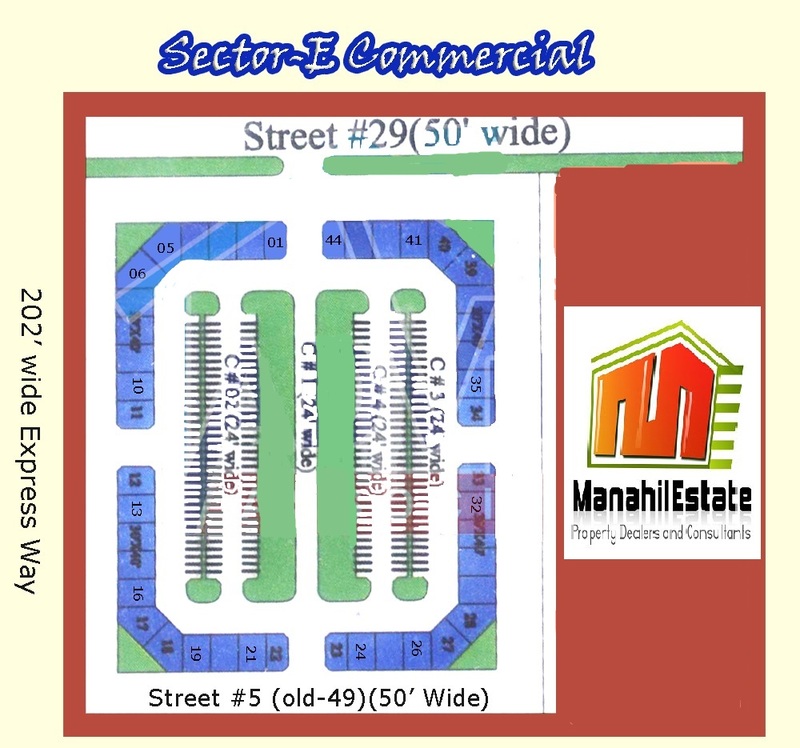 These maps include Business District Commercial Map, Business Square Commercial Map, Civic Center Commercial Map, Hub Commercial Map, Linear Commercial Map, Midway Commercial Map, Mini Commercial Map, Spring North Commercial Map, Spring South or Mini Commercial Extension Map, Marina Commercial Map, Riverview Commercial Map and Usman-e-Ghani Commercial Map. 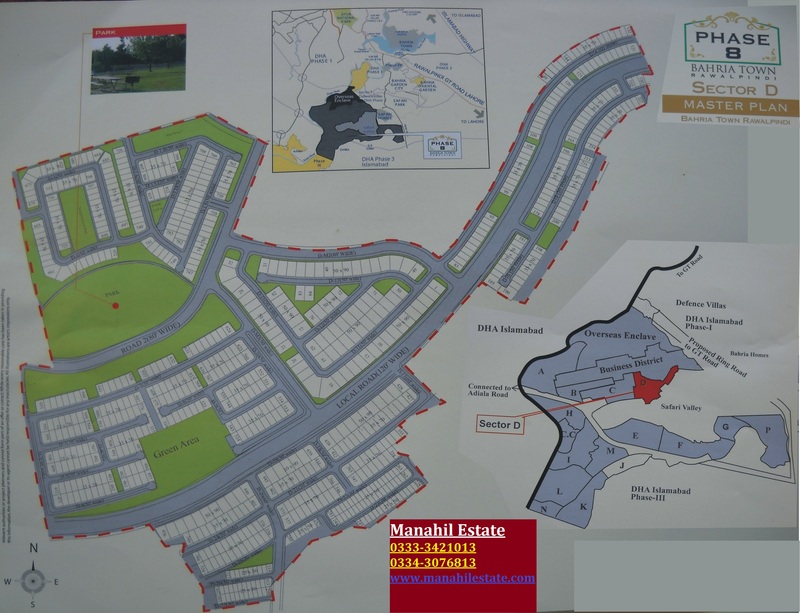 You can hover over the images to find out map titles and click on the images to get enlarged versions.